Asking just $11.00 -- MUST SELL -- Make me an Offer !! Buyer to pay U.S. Shipping, or item can be picked up. Cash or Money Order only. 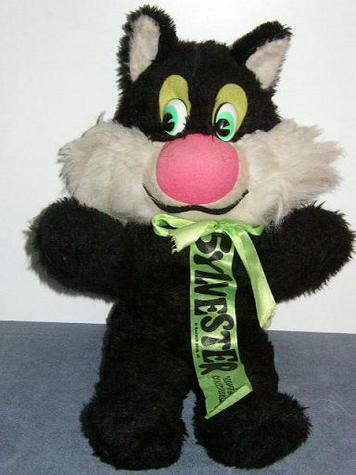 1960's Stuffed Cartoon Character - Adorable - Sylvester the Cat !!! In Very Good, Used Condition ! Clean & from a Smoke-free Home !